Thinking about getting some landscape work done? If you’re reading this in late autumn, you’ve probably picked the worst time to get the actual landscape construction done. But, you’ve also picked a wonderful time to get a good idea of what you want and contract with a landscaper. When the ground freezes, all work is pretty much over until the spring thaw. Winter is a slow time for most landscape companies, meaning not only do they have more time to dedicate to landscape design project, but also means you’ve got more flexibility when it comes to signing a contract. Before you reach out to a contractor, it’s time to think about what exactly you’re looking to change in your landscape. If you’ve just moved into a new home, take a while to familiarize yourself with the landscape, from where there is light and shade, to parts of your landscape you’d like to change or repair. After that, spend some time answering the following questions. What Are Your Landscape Wants and Needs? On the surface, this sounds like an easy question, but it can help you separate and prioritize your landscaping goals. By building out ideas such as “a place for my kids to play” and “a garden to grow vegetables” you have a better idea on how to organize the space you have into a usable plan to bring to the landscaper. You don’t need a completed design, but knowing what you need and want now will save time later. What Will Be Your Focal Point? When you’re thinking about changes to your landscape, think about what your focal point (or focal points) would be. This is the point that draws your eye, that the rest of the landscape radiates off of. This could be a tree, sculpture, patio, swimming pool, or something as simple as a series of shrubs or a lawn design. If you’re having trouble with this step, save it when talking to the contractor. It’s also important to think about your budget, especially when it comes to what are things you need versus what are things you want. While this is an important phase, it’s also one that should be considered after the previous two questions and when you start reaching out to landscape contractors. Usually they can provide consultations (often free) about the rough costs in terms of both materials and manpower to bring your project to life. You want a contractor who has experience in both designing and building landscapes. Ask them about how they design landscape master plans. Talk to them about your ideas. Learn about what kind of equipment they have. And get them to come over to the property to see it first hand and offer suggestions. Also during the off-season is when landscaping contractors start to plan their jobs for the next three seasons of landscaping. Getting to them earlier allows your work to start on your timetable, and can also lead to more favorable contract terms. Time to partner with a landscaping contractor? Consider Greener Horizon. 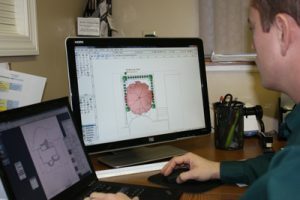 We’re landscape design and build experts, with the software and equipment to back it up. Reach out to us today to get started, and yes, we do provide complimentary consultations.